I often think of how much I changed since having my first child Luka, when I just turned 21, and now, 12 years later, having my toddler Daniella (3 years old) and baby Harry, who will be turning 5 months soon. Thinking back, I can clearly see, I was far too young and not ready for babies at all then. Don’t get me wrong, there is no a smallest bit of me regretting having my first child so early. But today, sitting and thinking back, comparing before and now, I have to admit, life seemed far more difficult back then. I don’t think I was adult enough and it didn’t unfortunately benefit my baby. The only thing that I can assure, is that I loved and love my all 3 children with all my heart. My baby is a little terrorist! She cries, because she wants to annoy me! hungry? Maybe teething? Why is that baby crying for goodness sake? I just want to cuddle him forever. I feel sad, when my baby is sad and I would do everything to make him feel better. Why do people breastfeed? Yuki! Breastfeeding makes life easier! No bottles sterilising, no preparing milk at night. Yey, why no one told me this before? your baby. It also creates a special relationship between baby and mum. like a monster- haven’t had proper sleep in ages. I just cannot function. I’ll try to sleep train my baby. And I did. Life is not always difficult! Yeh, I’ll do whatever I have to do, but because I have to, not because I want to. Why did no one tell me, that being a parent is such a difficult job? I just wish I was in that party tonight! I want the best for my baby. I want her to feel good. everything I have goes to my children. It makes me happy sharing all with them. Sleep times, feeding times, all is well organized for baby to feel happy. I don’t get enough sleep, I cannot go out, I cannot hang out with my friends. Life is complicated! I would like to watch the movie without interrupting in the evening, want to go to the sunbed, hairdresser. The best solution I could think of is to leave my baby with grandparents while I have fun myself. trust them 100%, but I am so attached to my baby, that those separation moments are really hard to handle. grandparents time to time, but not because I need to go out, but because it’s important for children and grandparents to enjoy each others company whenever they can. As early as 4 months. Will try to wait until 6 months old. 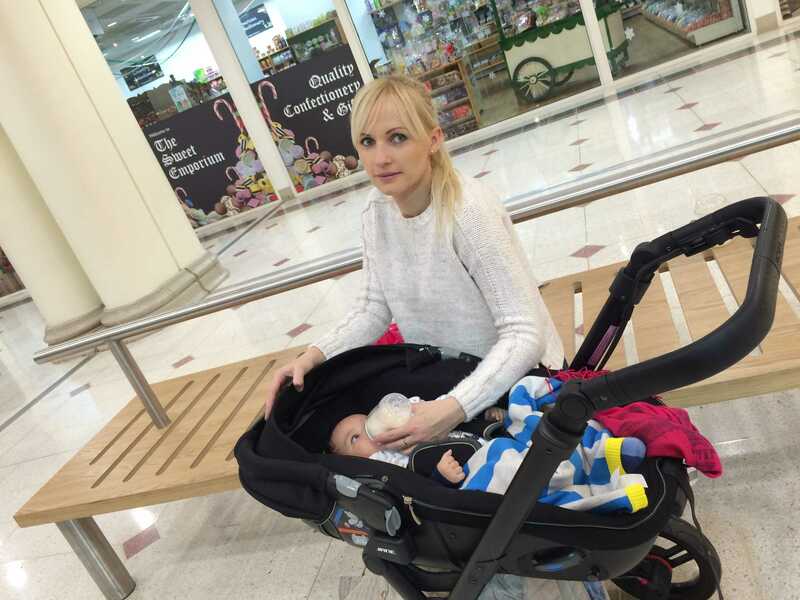 This entry was posted in Family, Family Life, Uncategorized by Justina. Bookmark the permalink.